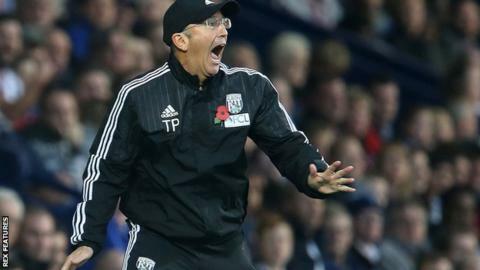 West Brom manager Tony Pulis has been fined £8,000 by the Football Association after admitting a charge of improper conduct. The charge related to an incident in the tunnel area after the Baggies were beaten 3-2 by Leicester on Saturday. Pulis, 57, admitted he had a "bit of a go" at referee Anthony Taylor over two failed penalty appeals for his team. Defeat against the Foxes came after two successive wins for West Brom, who are 12th in the Premier League.